Terence Dunn teaches the Taoist Elixir Method (Tao Tan Pai) Basic 31 Meditations in this 22-hour immersive Qigong workshop. Taoist Elixir Method is a complete ancient Taoist system of moving meditation and breath control that imparts good health, vitality and personal empowerment by coordinating eyes, mind, movement, and breath according to an alchemic formula that opens the heart, clears and focuses the mind and profoundly strengthens the body. The health benefits of Tao Tan Pai practice are improved circulation, respiration, digestion, metabolism, posture, balance, flexibility, neuro-muscular coordination, sound and restful sleep, and effective management of stress. Tao Tan Pai 31 Meditations is the basic health and self-healing Qigong training of the Tao Tan Pai Kung Fu system, an authentic Taoist monastic system of hygienics that originated during China’s Tang Dynasty and is attributed to Lu Deng Bin, the leader of the Eight Taoist Immortals (saints) and was preserved for 23 generations mostly at the Ancient Temple of the Yellow Dragon ( 黃龍古殿 Huanglong Guguan ) near Mt. Luohu in China’s Guangdong province before Taoist priest Share Lew brought the art to America in 1968. Tan Pai Qigong traditionally has been the secret engine that develops the natural body mechanics and tangible superabundance of energy that empowers the Tao Tan Pai Kung Fu. Thus it is the perfect complement and support for any athletic activity besides martial arts. During this weekend workshop, you learn the 15 standing and 16 seated meditations known as the Tao Tan Pai Basic 31. You will also learn what is known as the Short Form Power Yoga, consisting of five of the 31 meditations, which is an essential distillation of the 31 meditation system, handily designed for daily practice of approximately 35-40 minutes. On the register page, accommodations and meals are included in these room prices. Couples king and queen are for 2. In addition to conducting two in-depth Intensive Taichi/Qigong workshops on Taichi For Health – Feb. 15-18, and Tao Tai Pan – July. 26-29, Terence Dunn will teach 3 Ermei Flying Phoenix Qigong series March 29 – 01, June 29-01, and Sept 27-30th. Sifu Dunn also will teach weekly classes open to the public/Eastover community on Saturdays, Sundays and Monday, please check out Community Classes page. Terry Dunn teaches the Taoist Elixir Method (Tao Tan Pai) Basic 31 Meditations in this 22-hour immersive workshop. Taoist Elixir Method is a complete ancient Taoist system of moving meditation and breath control that imparts good health, vitality and personal empowerment by coordinating eyes, mind, movement, and breath according to an alchemic formula that opens the heart, clears and focuses the mind and profoundly strengthens the body. The health benefits of Tao Tan Pai practice are improved circulation, respiration, digestion, metabolism, posture, balance, flexibility, neuro-muscular coordination, sound and restful sleep, and effective management of stress. Master Terry Dunn was certified to teach Tao Tan Pai Kung Fu and Nei Kung and Southern Shaolin Five Animals Kung Fu in 1983 at the Taoist Sanctuary of Los Angeles and San Diego. In 1994 he was certified to teach Ehrmei Mountain Flying Phoenix Heavenly Healing Qigong (Fei Feng San Gung) and other Bok Fu Pai internal arts by Grandmaster Doo Wai, the sixth generation master of family-inherited Bok Fu Pai (White Tiger Style) Kung Fu. Through his teaching experience–Tao Tan Pai for 40 years and Flying Phoenix Qigong for 22 years–Sifu Dunn observed and divined that both of these very different, yet extremely healthful and transformative Taoist Qigong arts complement each other in most profound and beneficial ways. 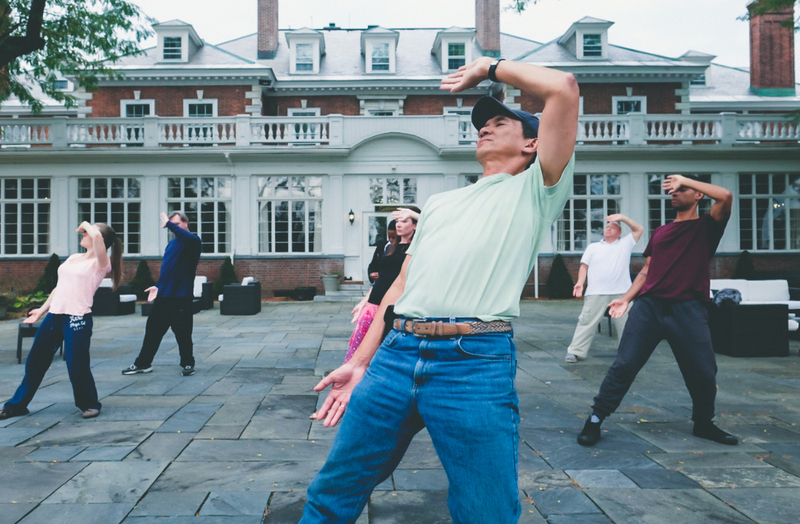 Thus in this immersive Tao Tan Pai workshop, you will also experience the sublime and incredibly fast-acting Flying Phoenix Qigong. Teaching since 1983, Master Terry Dunn is one of the most thoroughly vetted Qigong teachers in America by modern medicine. In 2000, he wrote and implemented the first Qigong protocol in American medical history for the Department of Cardio-thoracic Surgery at Cedars-Sinai Medical Center in Los Angeles, California. In 2000-2001, Terry became the first Tai Chi trainer in the NBA, training the Los Angeles Lakers during their second world championship season. Besides Tao Tan Pai Nei Kung and Flying Phoenix Qigong, Terry primarily teaches Yang Tai Chi Chuan in the manner of Grandmaster William C.C. Chen, Liu He Ba Fa, Tao Tan Pai Kung Fu, and the ultra-rare Eight Sections of Energy Combined.